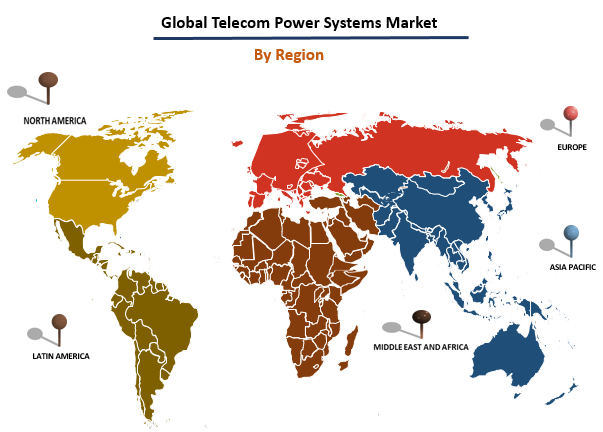 The global telecom power systems market was worth US$ 3.4 Billion in 2018. Telecom power systems are used to assist telecommunication services by controlling and monitoring the flow of power over telecom networks. Telecom power systems consist of a number of smaller units that bear various technical requirements such as converters, controllers, distributors, etc. The evolution in the telecom power system market came after the telecom industry got integrated with information technology (IT). 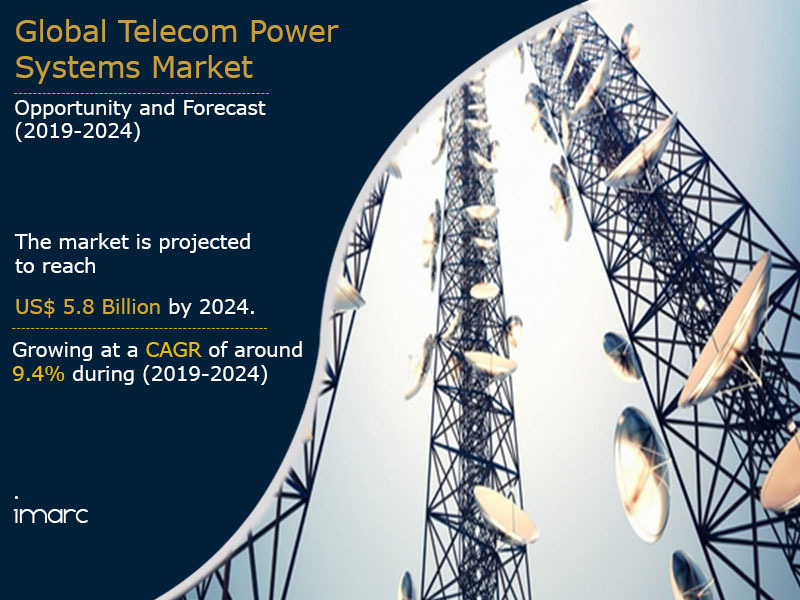 The global telecom power systems market is currently witnessing a rapid growth with telecom towers being largely installed even in rural and remote areas. Power systems represent a cost-effective solution for maintaining and controlling telecom services in such areas as grid electricity represents a major challenge and they often face power shortages. The strong growth of telecom infrastructure in rural areas, particularly in developing regions such as the Asia Pacific and Africa represents a key factor driving the demand of telecom power systems. In order to meet the demand of the rising number of subscribers in such regions, a number of towers have been installed in rural and remote areas. Telecom power systems are playing a major role in improving the efficiency and reliability of telecom services in such locations. Moreover, the rising use of hybrid power systems is also creating a positive impact on the environment by utilizing renewable sources of energy such as wind and solar, thereby reducing the amount of emission of greenhouse gases. Looking forward, the market value is projected to reach a value of US$ 5.8 Billion by 2024, expanding at a CAGR of 9.4% during 2019-2024. Based on the product type, the market has been segmented into direct current (DC) and alternating current (AC) based power systems. Currently, direct current systems dominates the market, holding the largest share. Based on the power source, the market has been segmented into diesel-battery, diesel-solar, diesel-wind and multiple sources. Based on the grid type, the market has been segmented into on grid, off grid and bad grid. Based on the component, the market has been segmented into rectifiers, converters, controllers, heat management systems, generators and others. The competitive landscape of the market has also been examined with some of the key players being Delta Electronics, Eaton, ABB Group, Huawei Technologies Co., Schneider Electric, Vertiv Co., Cummins Power, Myers Power Products, Inc., Ascot Industrial and Unipower. This report provides a deep insight into the global telecom power systems market covering all its essential aspects. This ranges from macro overview of the market to micro details of the industry performance, recent trends, key market drivers and challenges, SWOT analysis, Porter’s five forces analysis, value chain analysis, etc. This report is a must-read for entrepreneurs, investors, researchers, consultants, business strategists, and all those who have any kind of stake or are planning to foray into the telecom power systems market in any manner. How has the global telecom power systems market performed so far and how will it perform in the coming years? What are the key regional markets in the global telecom power systems industry? What is the breakup of the global telecom power systems market on the basis of product types? What is the breakup of the global telecom power systems market on the basis of components? What is the breakup of the global telecom power systems market on the basis of power source? What is the breakup of the global telecom power systems market on the basis of grid type? What are the various stages in the value chain of the global telecom power systems market? What are the key driving factors and challenges in the global telecom power systems market? What is the structure of the global telecom power systems market and who are the key players? What is the degree of competition in the global telecom power systems market? 11.3.8 Myers Power Products, Inc.